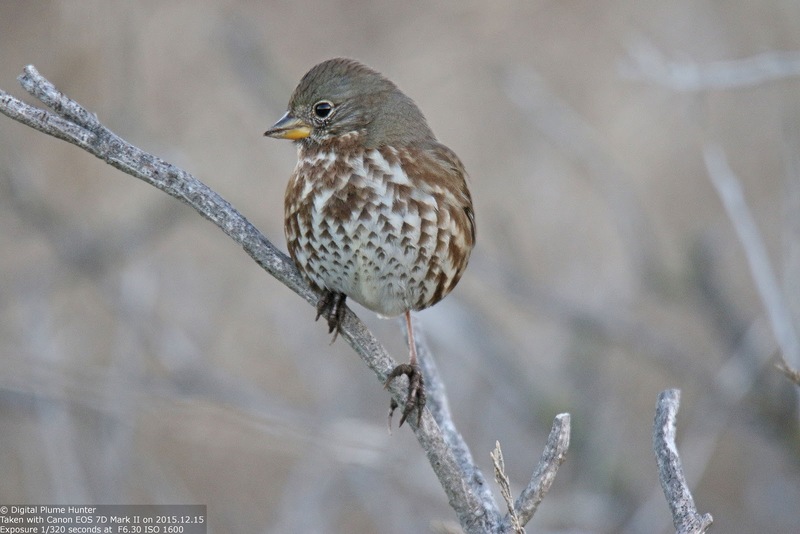 If only we knew the language of birds, it would not be surprising to learn that "primate brain" in their parlance is an expression reserved for describing a creature slow of wit. And, as we primates look around us -- especially in relation to our politics -- we cannot but wonder if they are right. And, yet while we use "bird brain" in an equivalent sense, we now know how grossly we err: birds are not only intelligent but also highly adaptable; being as they are among a select group of creatures on this planet capable of using tools. And, the corvids -- the family of jays and crows -- are renowned as among the most clever of avian species. 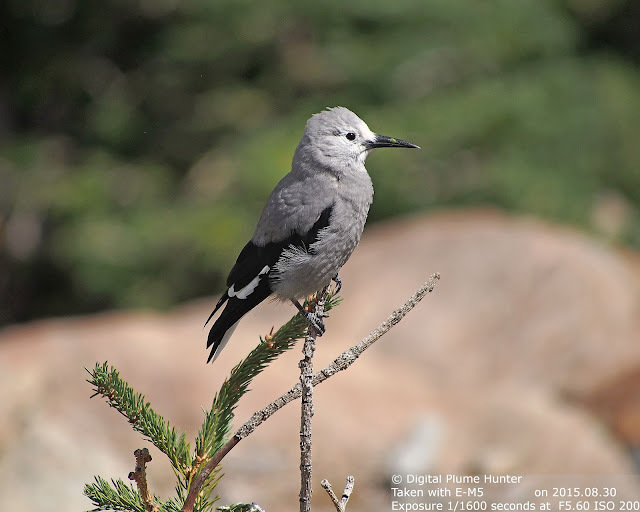 In this blog post, we review 3 corvid species encountered on a trip to Rocky Mountain National Park in Colorado. Clark's Nutcracker is one of 3 species of Nutcrackers on the earth and the only nutcracker found in the New World. 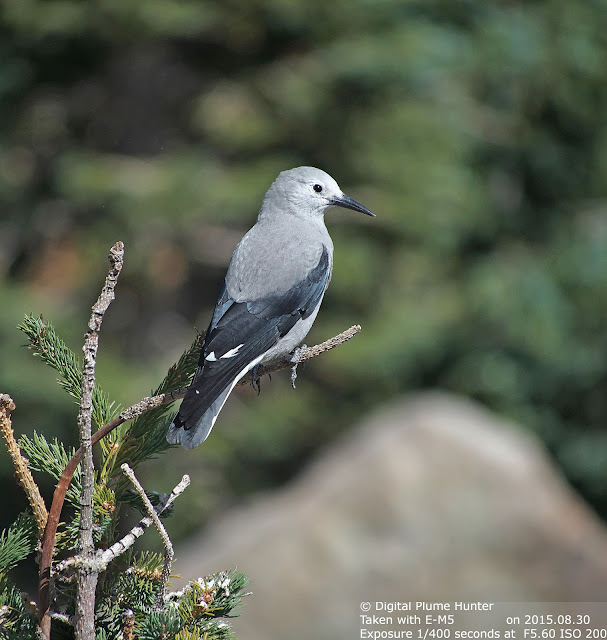 This particular individual was observed at Rainbow Curve Overlook at Rocky National Mountain Park in Colorado. 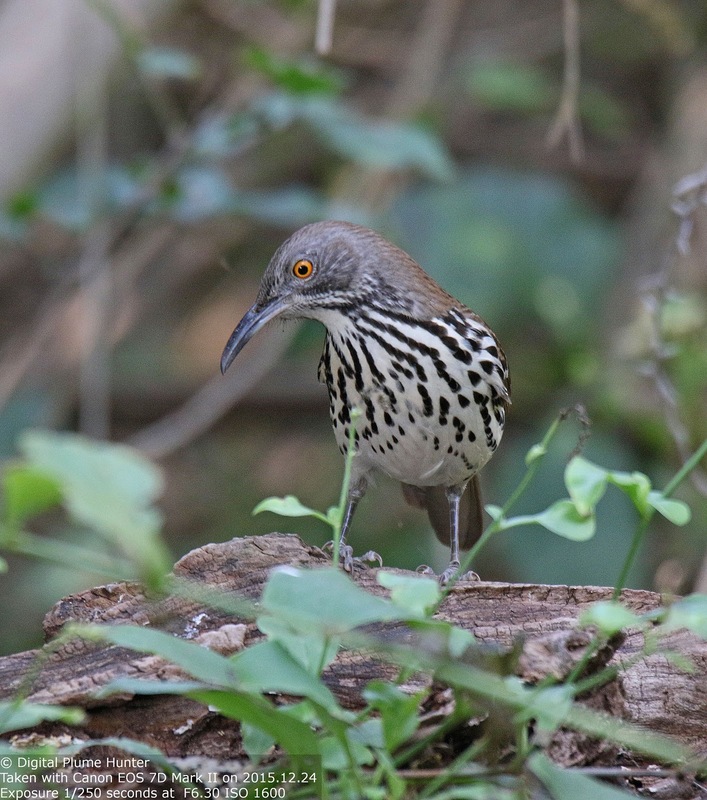 As their name implies, nutcrackers are nut specialists -- especially pine nuts. 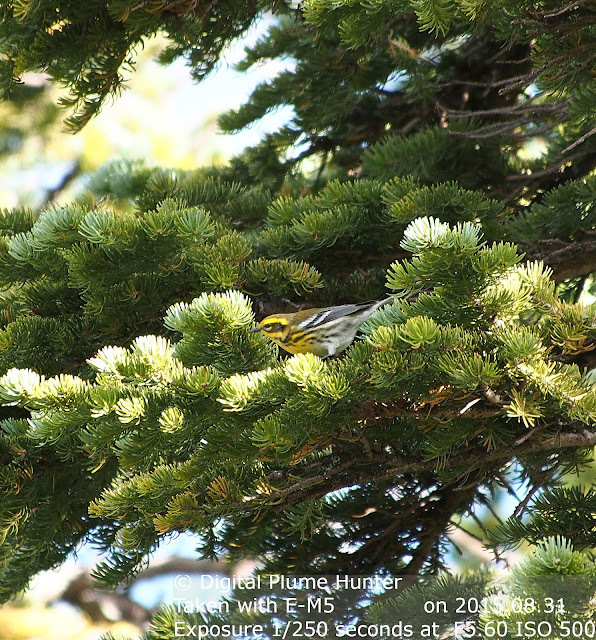 They are known to stash away 30,000 pine nuts in a single season for later consumption. 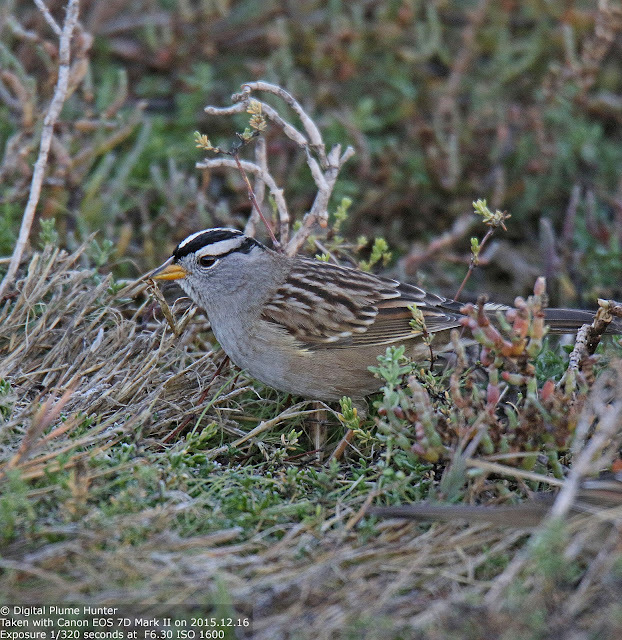 Almost miraculously, they are able to remember the location of 70% of them -- i.e., they are able to remember where they hid 21,000 tiny seeds. 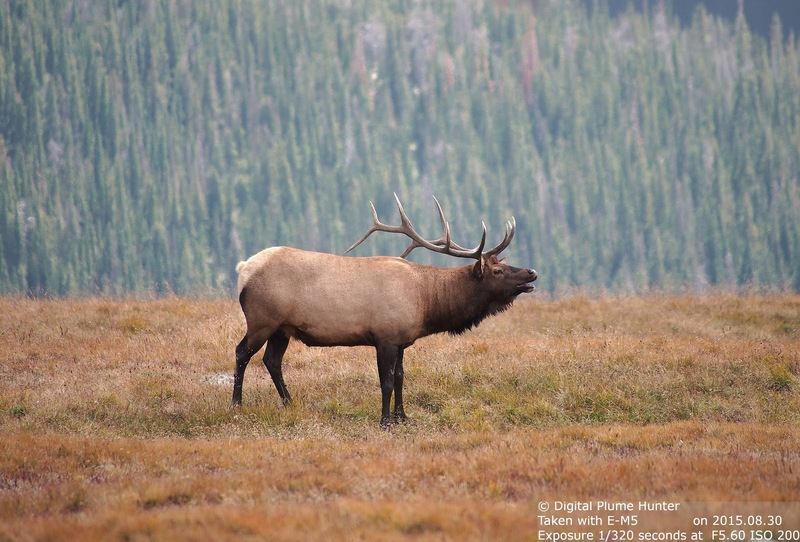 Compare this to modern primates who struggle to remember the location of just a single parked vehicle in a lot! 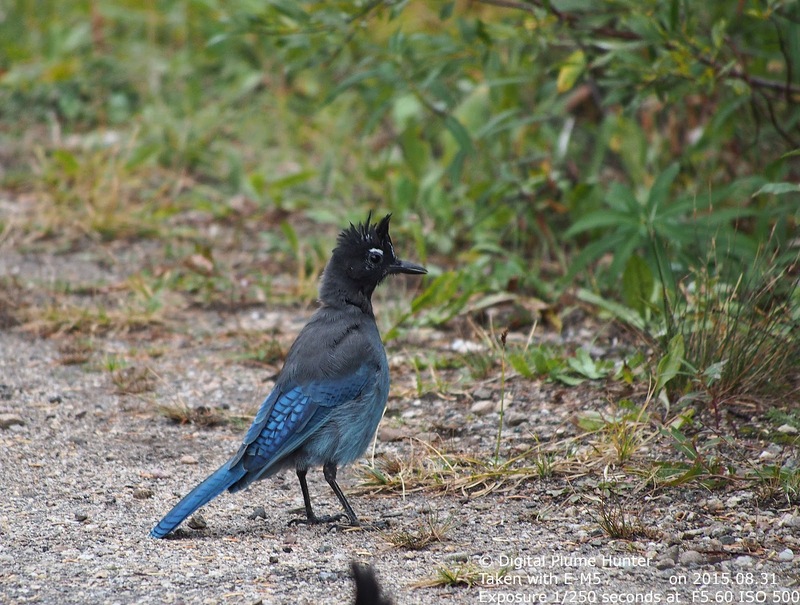 This is one of two crested jays found in the US. It ranges in evergreen forest over much of the West. Unlike Nutcrackers, the magpie is an omnivore and an opportunist when it comes to food -- feeding on nuts and insects as well as scavenging dead animals. 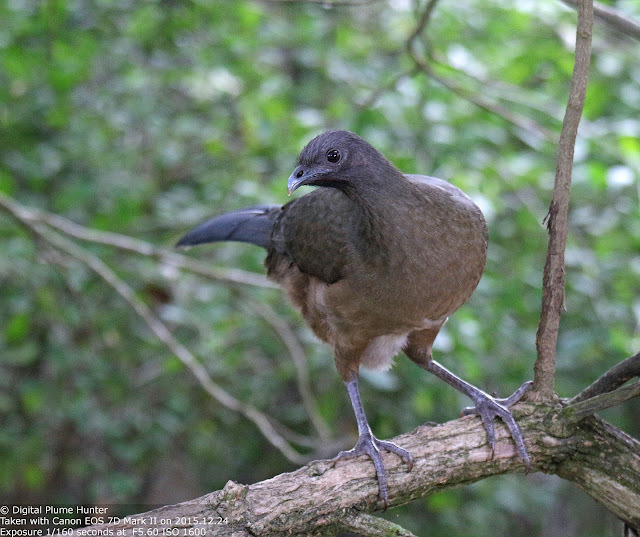 With the elimination of the bison herds from which they gleaned ticks and insects, these adaptable corvids have now switched over to farm animals. Magpies are also able to recognize individual human faces -- they have been known to pick out specific individuals to mob from a crowd of people. 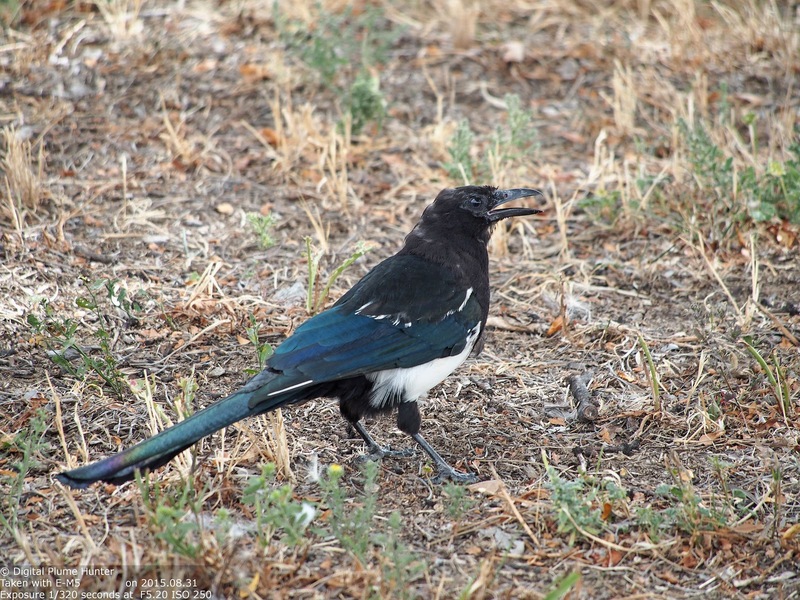 A fact discovered by researchers who were studying magpie nesting and found that the parent magpies later recognized the same people who had earlier disturbed their nests (see article here). 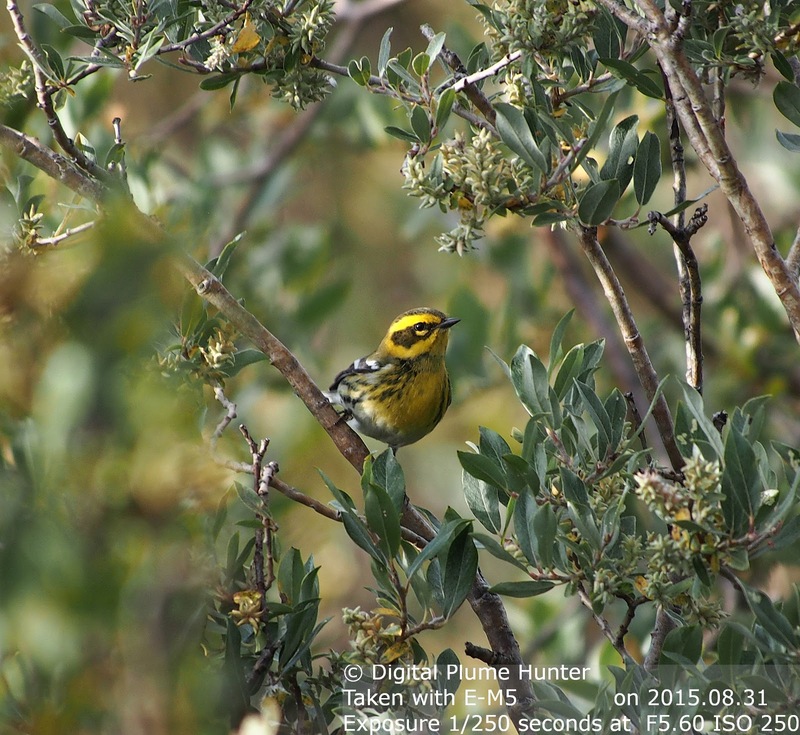 A beautiful Townsend's Warbler! A nice bonus to supplement the wonderful jays. 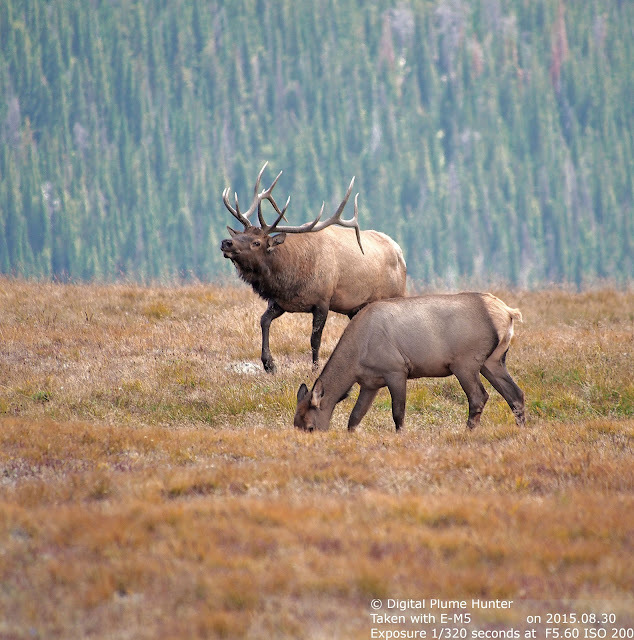 But the Rockies hold more than just birds -- Brainard Lake is known for its Moose and RNMP is famous for its Elk and Bighorn Sheep. 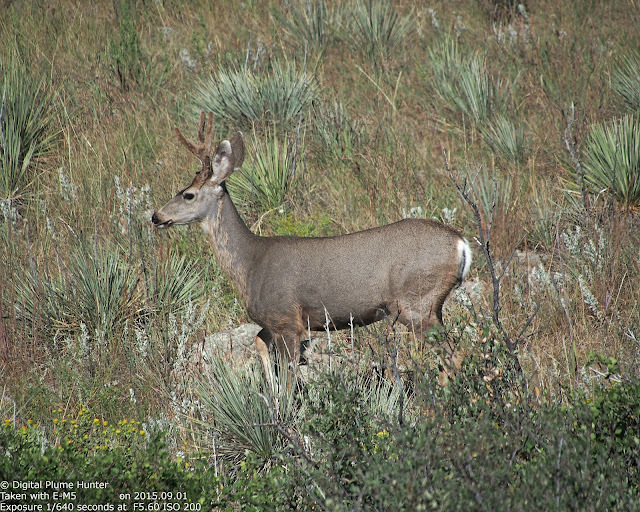 This deer is named for its large, mule-like ears and is found only in Western N. America. 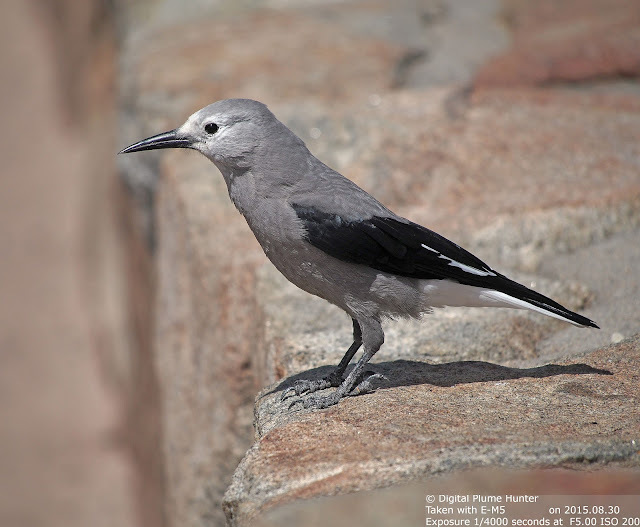 While birds never cease to amaze us with their color, song and power -- we should not overlook the fact that they are amazing in their intelligence as well -- a fact superbly underscored by the collection of corvids here presented. In the words of the renowned actress Elizabeth Taylor: "It's not the having, it's the getting" -- a saying that sums up perfectly the thrill of the chase and how the adrenaline-infused process of acquisition outweighs the placid act of possession. 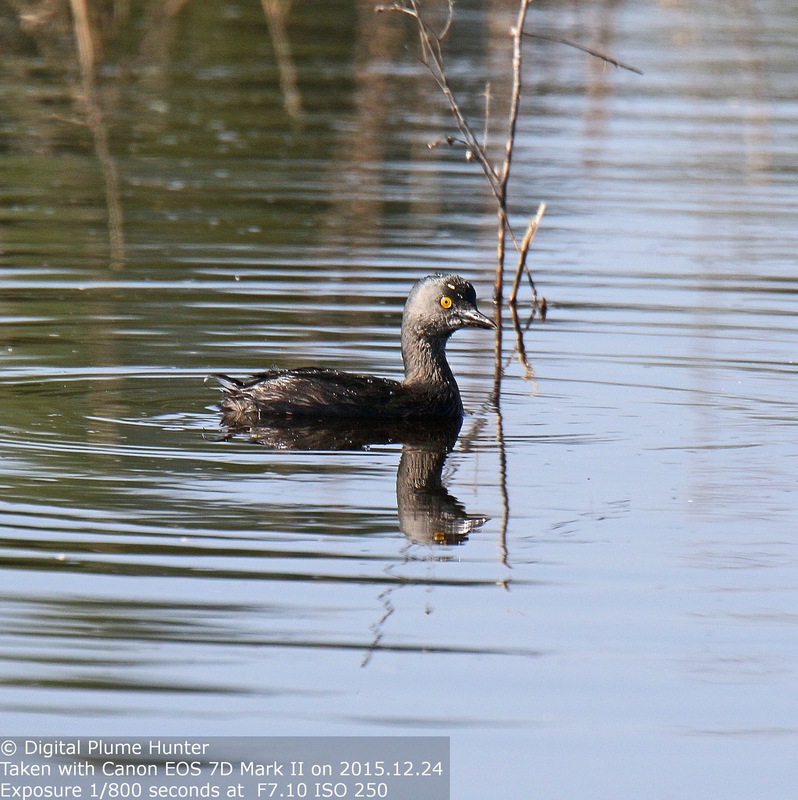 Not the prefix "least"; but "most"
Aptly named, this is the smallest Grebe not only in the US but in the entire New World and while it ranges widely across S. America, in the US, it is restricted to Southern Texas [also occasionally seen as a vagrant in South Florida]. An Ibis spied at nearby Estero Llano Grande, on the other hand, evoked a ho-hum response -- a typical knee-jerk reaction that characterizes the observation of a thoroughly familiar species -- the Glossy Ibis. 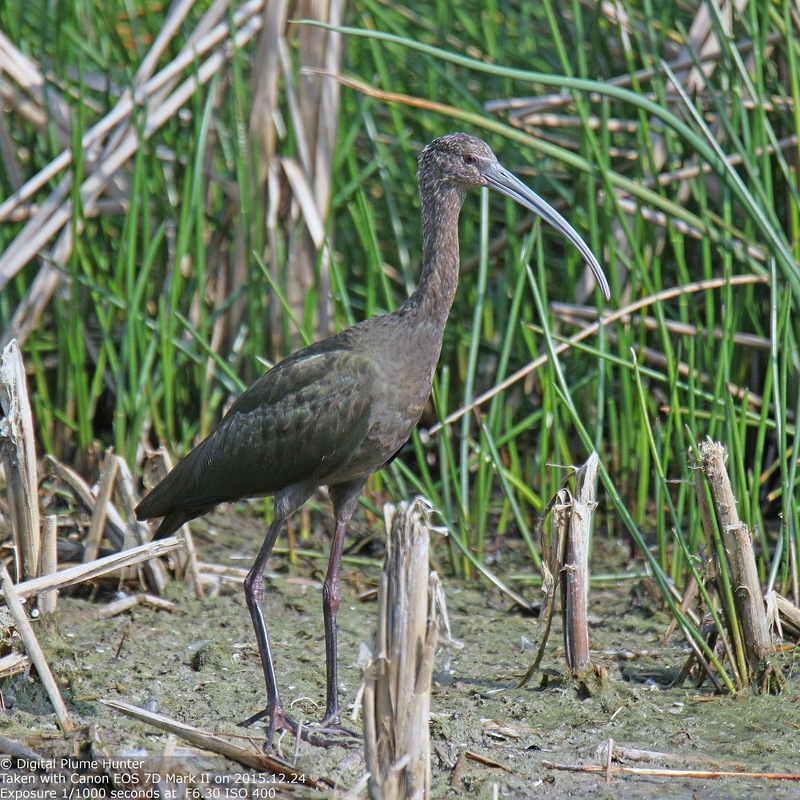 However, and this is why bird photography is such a powerful complement to birding -- closer inspection of the image upon return to Michigan underscored the perils of misidentification that can result from perfunctory observation in the field -- for, this is a White-faced Ibis; not a Glossy Ibis! 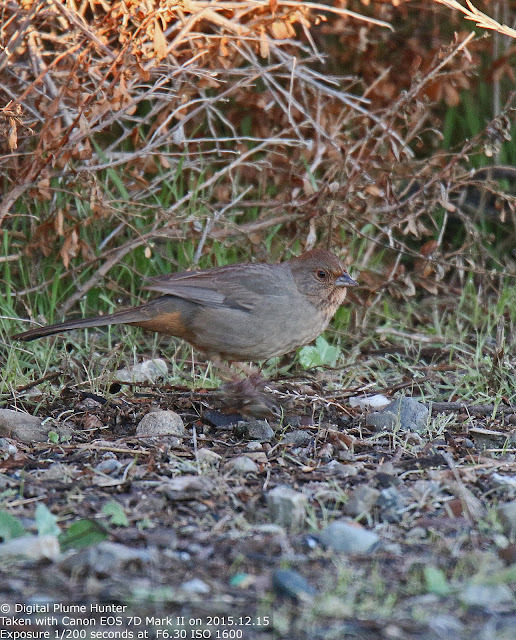 Note the reddish legs and eyes. This "western counterpart" to the Glossy has an odd distribution -- found in the lower half of S. America it is then absent until it resurfaces in Central and Western N. America. 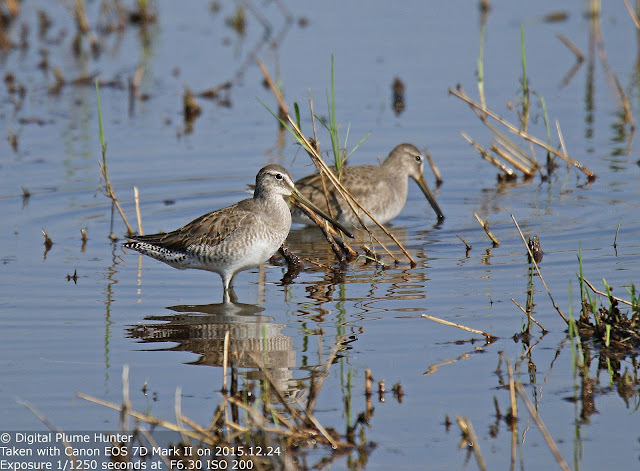 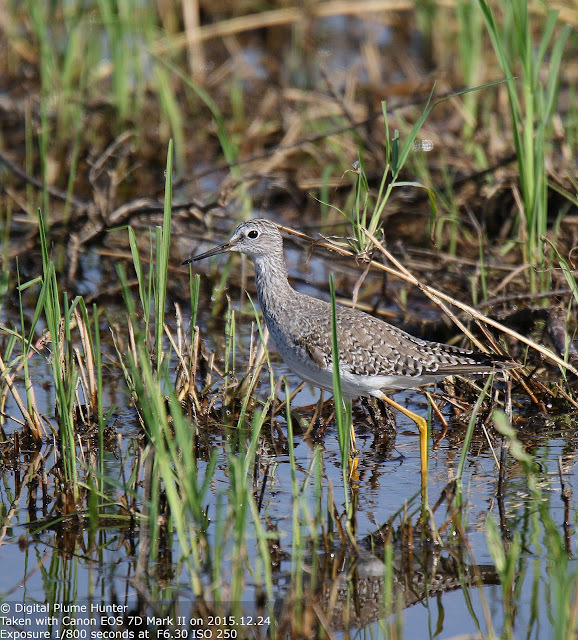 In addition to the waders and shorebirds, Santa Ana, which has a checklist of 397 species, is particularly renowned for its birds in passage. In the flash visit to this fabled venue that was afforded this blogger, full advantage of the available observation options was not availed. Any trip to the RGV area requires a good 4 to 7 days to fully appreciate the various hotspots and the avian treasures they hold. This blogger's first visit to the RGV area was in 2009. 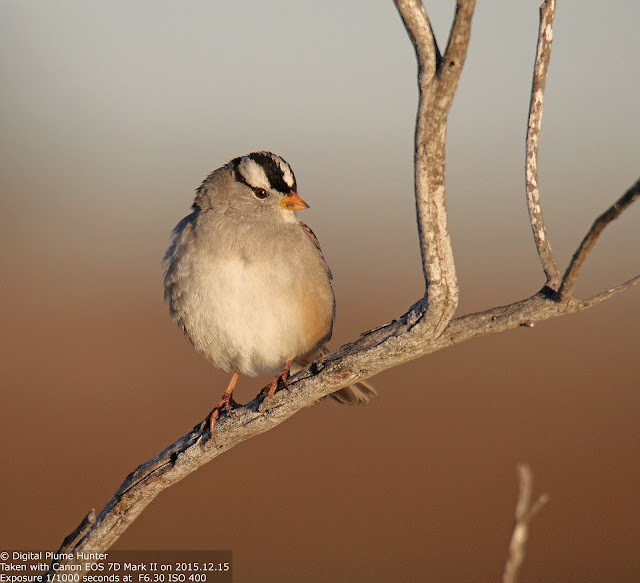 A return visit in 2012 underscored why Southern Texas remains a mecca for the American birding community. 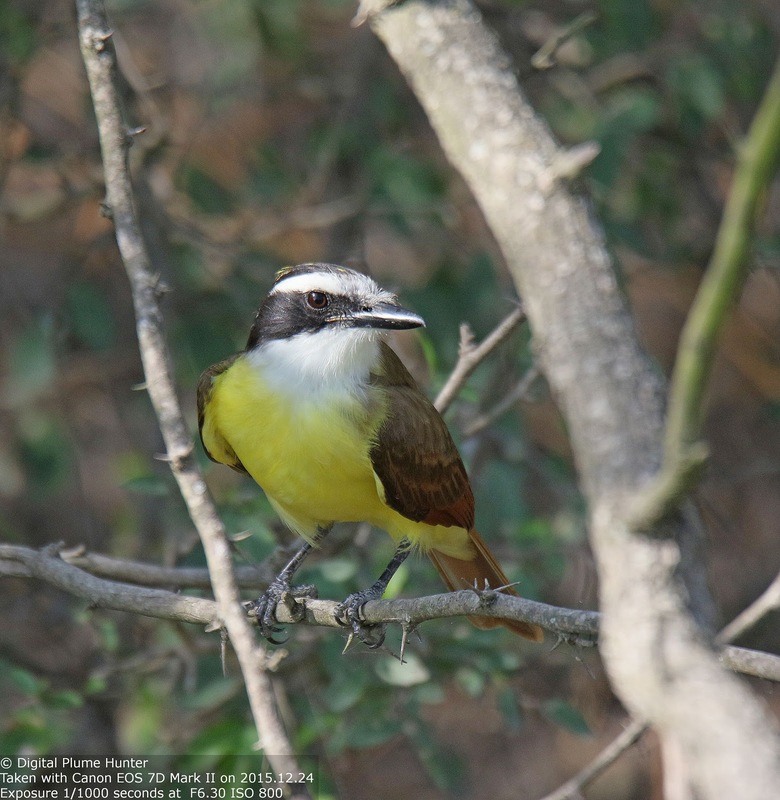 And, with or without the odd rarity from Mexico, venues such as Santa Ana NWR and Estero Llano Grande SP continue to enchant. There are 4 species of Fox in the US. 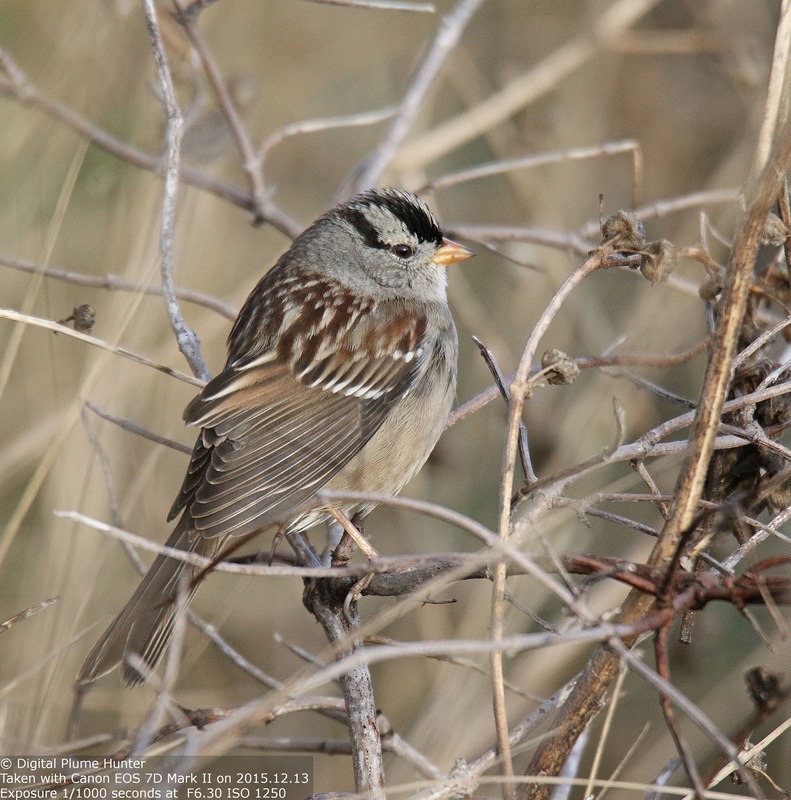 The red of the streaking on this somewhat large sparrow resembles the color of one of the four Fox species -- the Red Fox -- and, hence the name for this charismatic sparrow. 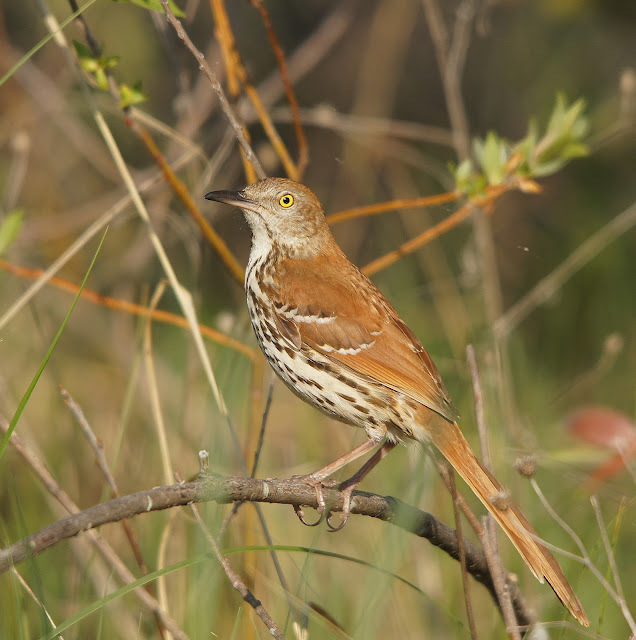 However, note that the resemblance to the Red Fox is "most true" for the Red race of the Fox Sparrow. The race shown here is the Slate-colored Fox Sparrow and an even darker variant, the Sooty Fox Sparrow, is found in the coastal Northwest. This outstanding individual was seen at Byxbee Park. 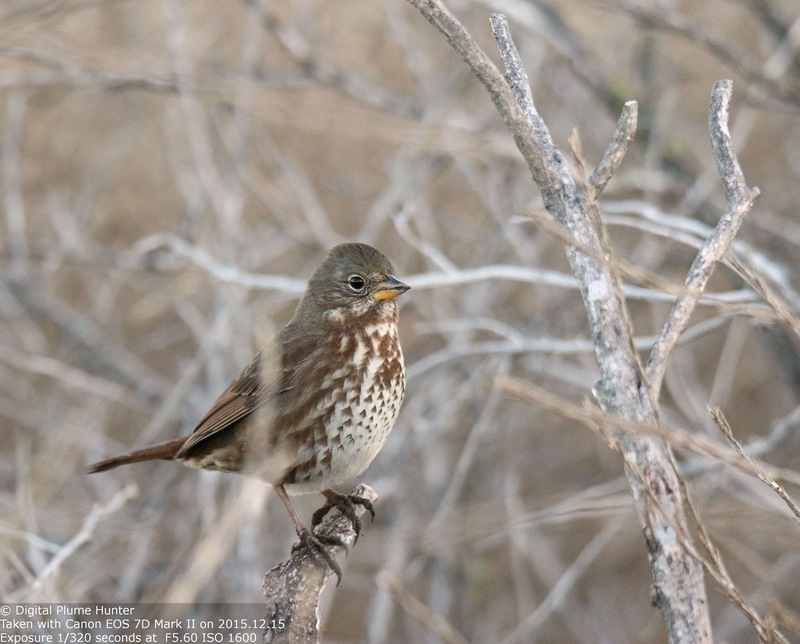 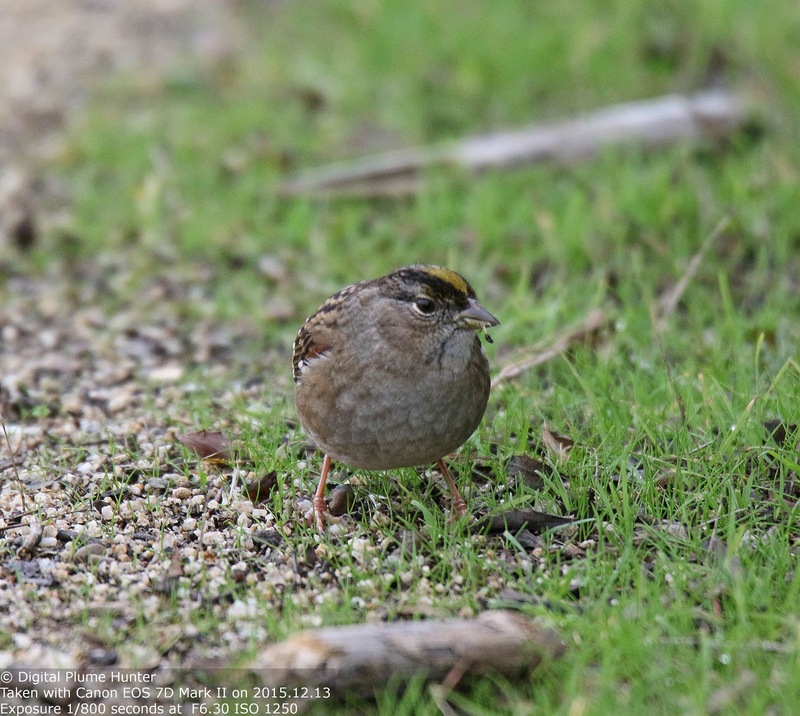 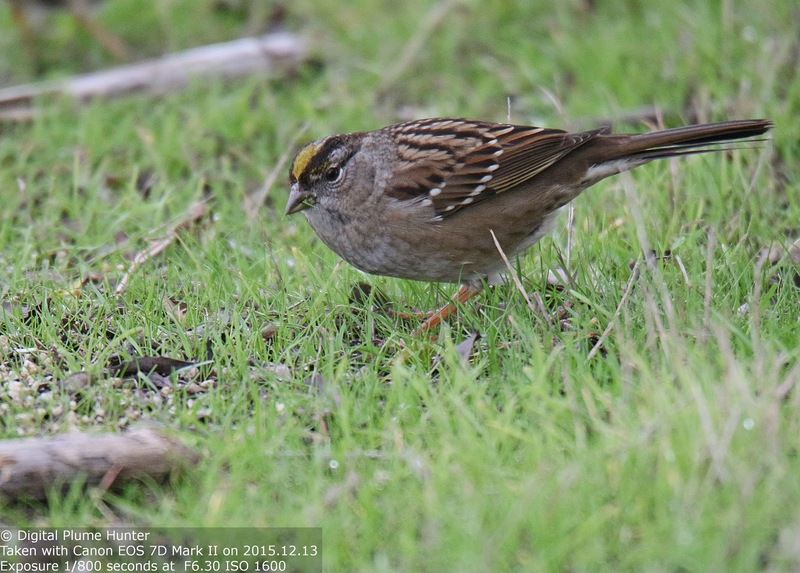 Over at WPCP, this blogger was surprised to hear Song Sparrows singing -- in December! 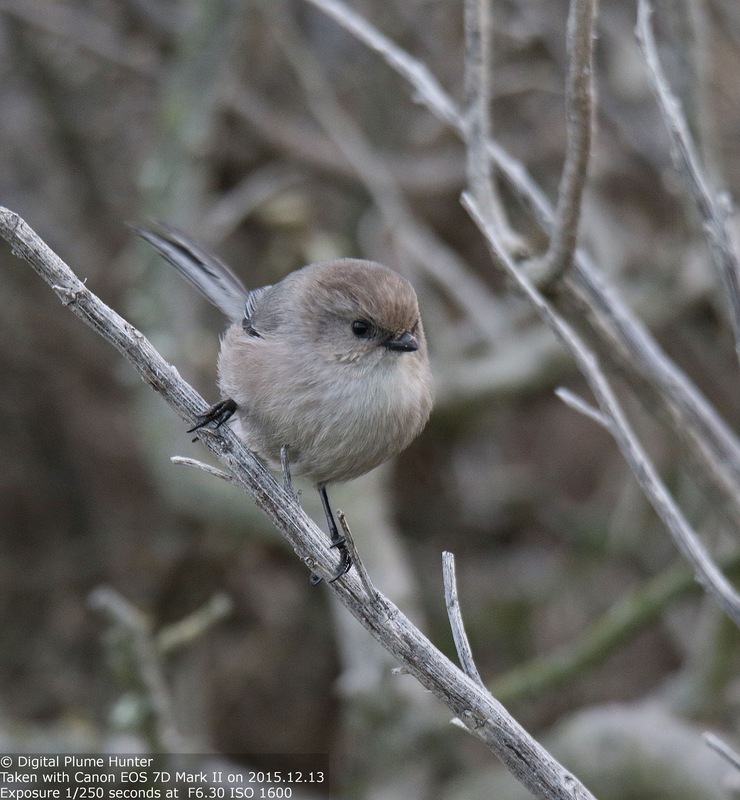 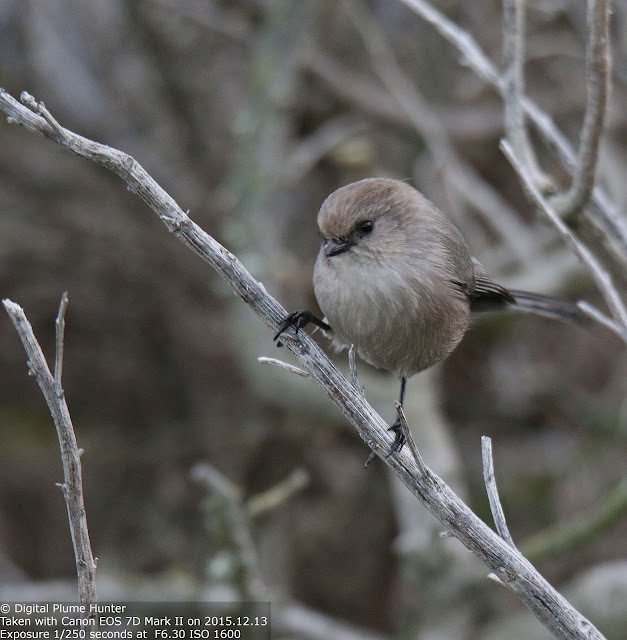 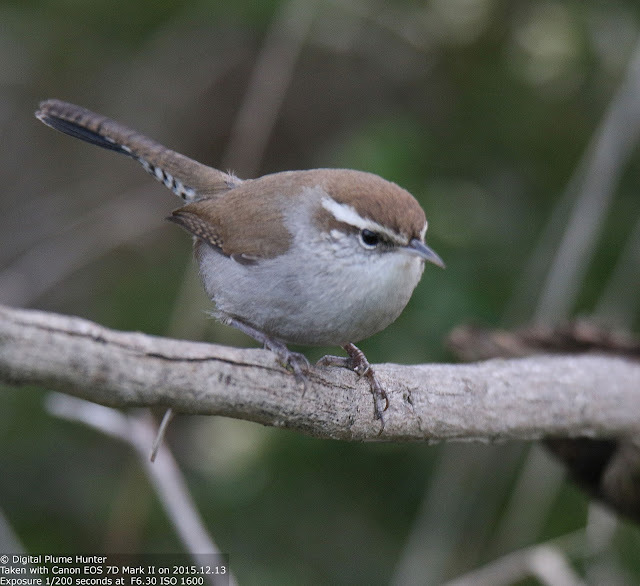 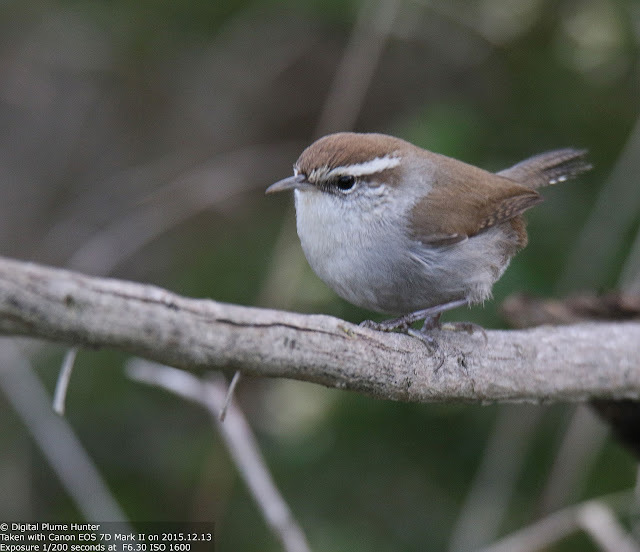 This western wren looks like a House Wren with a long tail and is now exceedingly uncommon in the East where it is being displaced by the House Wren. 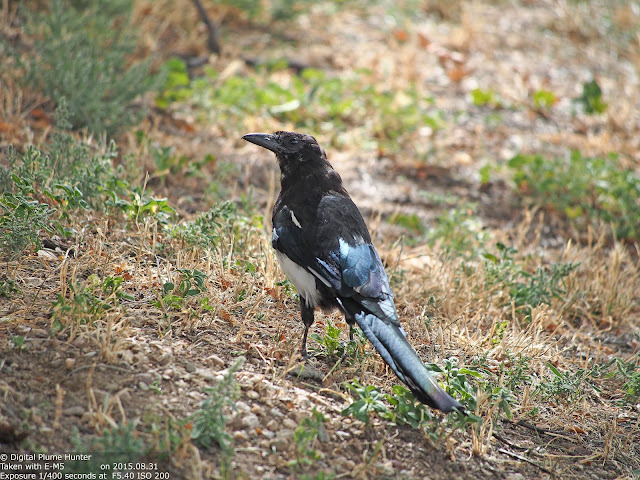 Arnold Schwarzenegger is not only known for his muscle-bound roles in movies, but also as the Governor of California who signed into law, legislation that made it mandatory for kitty litter brands to carry a warning not to dump kitty feces into toilets or storm drains. 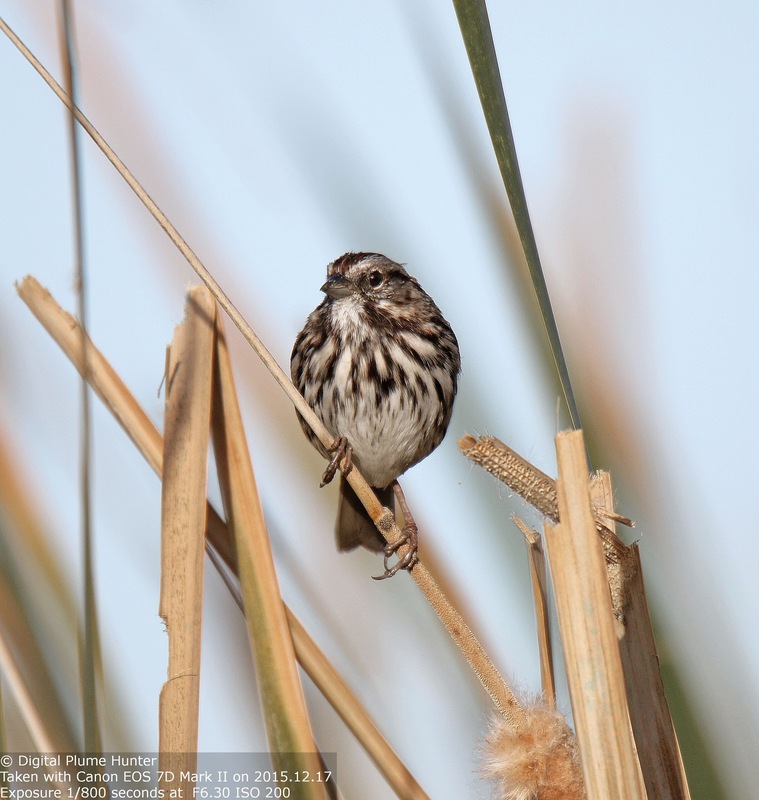 This was necessitated by the unprecedented deaths of Sea Otters on California coasts and is a grim reminder of the ripple effects of how non-native animals in urban settings can still have devastating consequences on wildlife hundreds of miles away. In the prior post, we noted how Texas dominates diversity in avifauna in the country not only because of its massive size but also because of its proximity to Mexico. 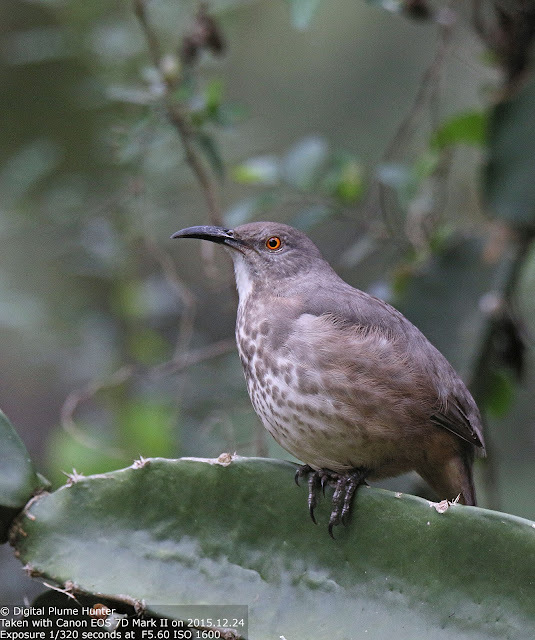 And, proximity to Mexico inevitably implies a bonanza of tropical species. 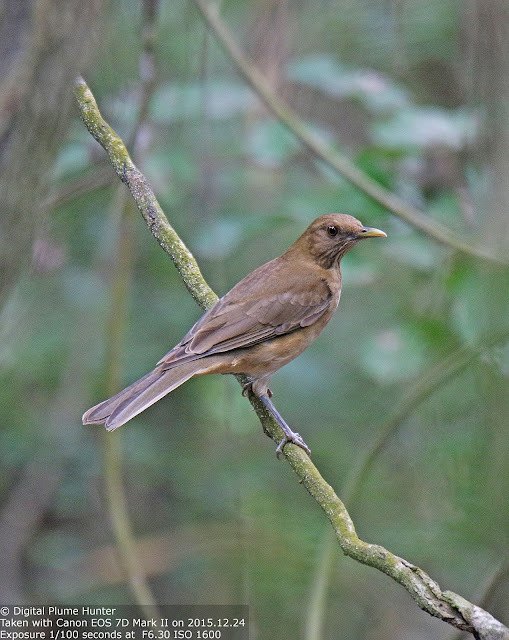 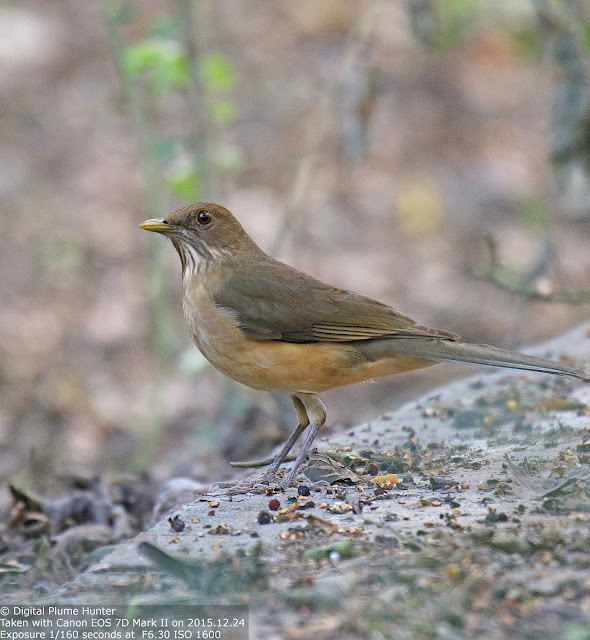 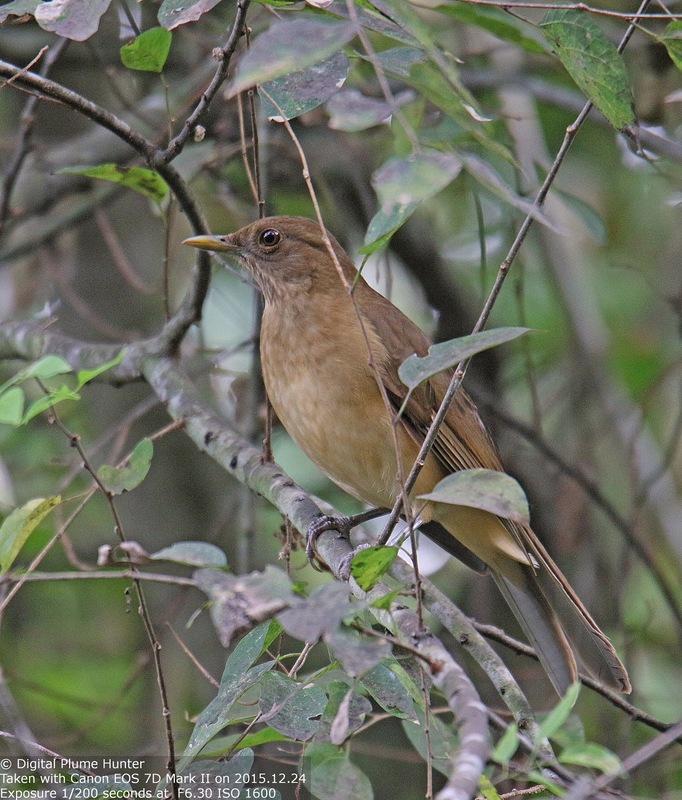 This beautiful thrush with its delicate hues of brown and cinnamon is about the same size as an American Robin. 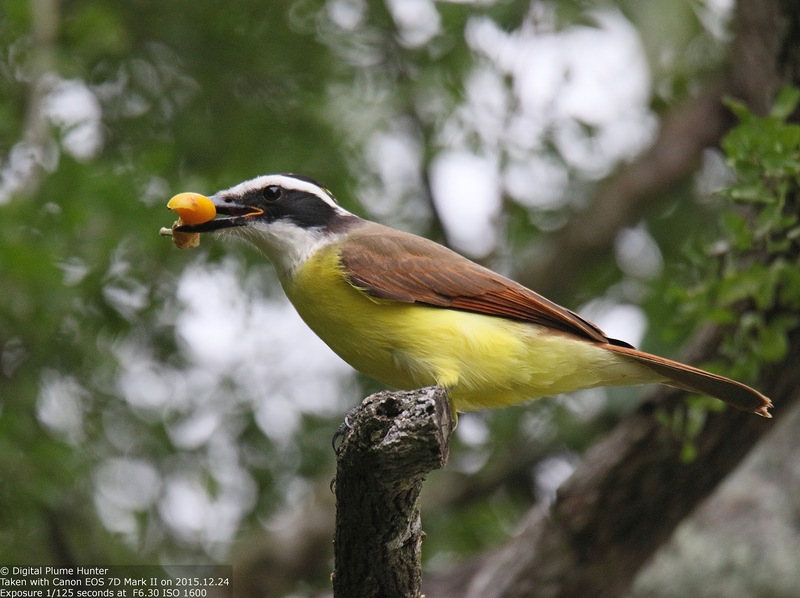 Note the white throat with fine streaking; the yellow bill and dark red eyes. 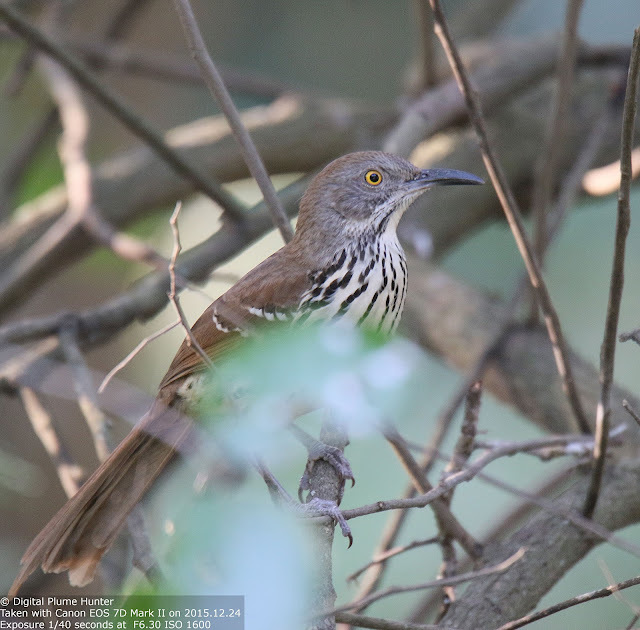 In addition to the obvious difference in bill length, note the grey face of the Long-billed (vs. brown) and dark streaking vs. rufous streaking on the Brown Thrasher. 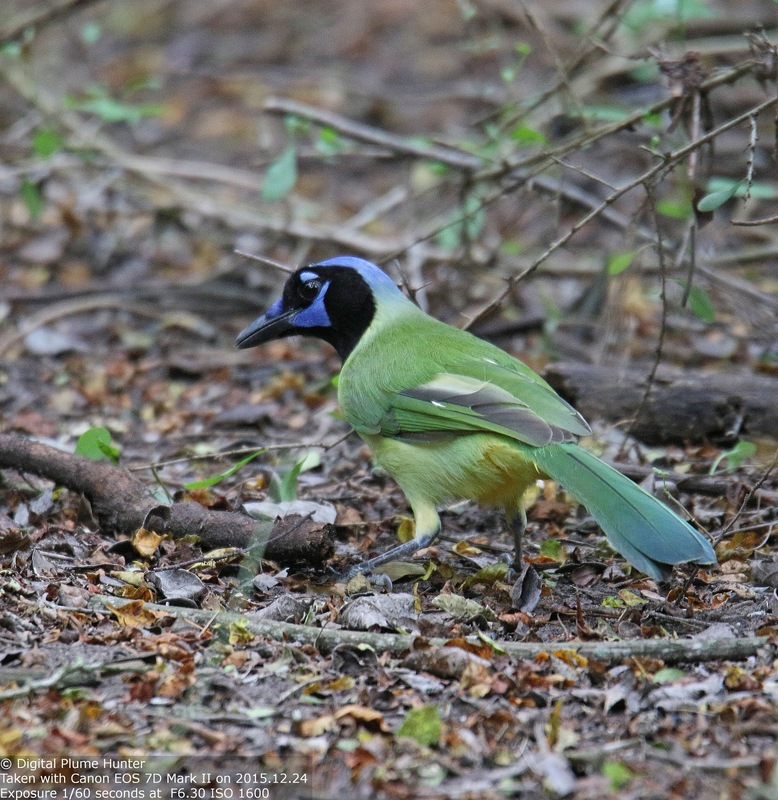 Flamboyantly colorful with green, blue, black and yellow, the Green Jay is our most colorful corvid. 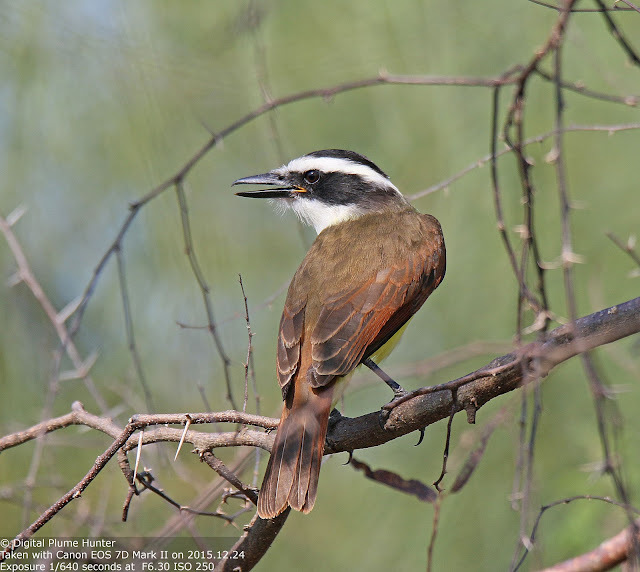 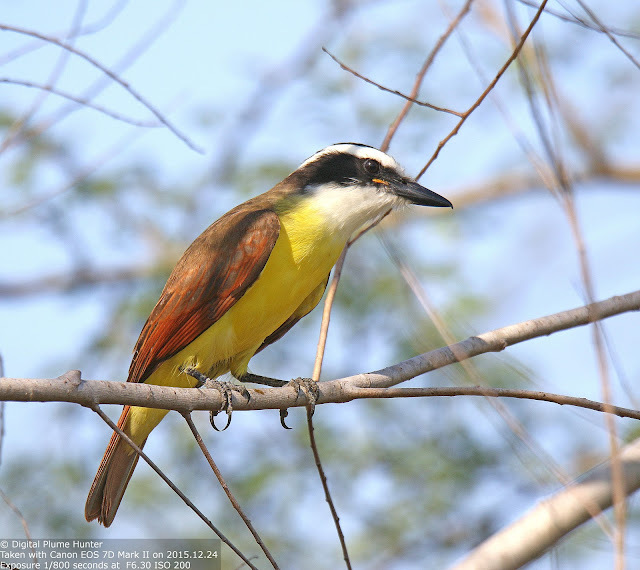 Great Kiskadee is a flycatcher on steroids -- large, colorful and loud. 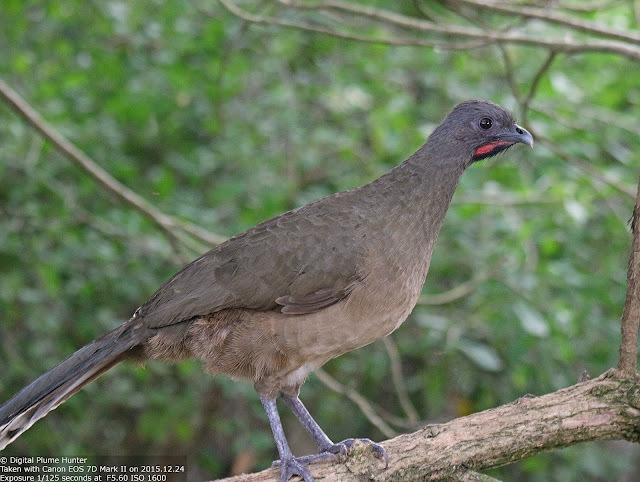 Plain Chachalaca is the only member of the Cracidae family in the US comprising Chachalacas, Guans and Curassows. 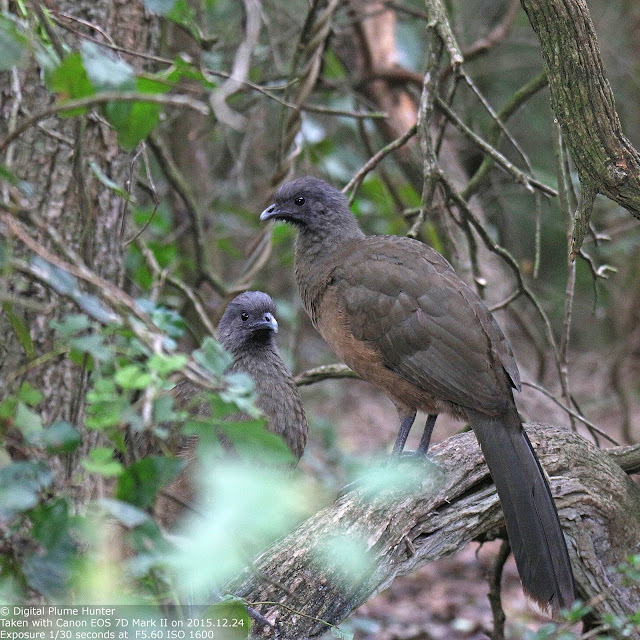 These are loud and gregarious birds and, despite their size, remain mostly hidden in the shadows. 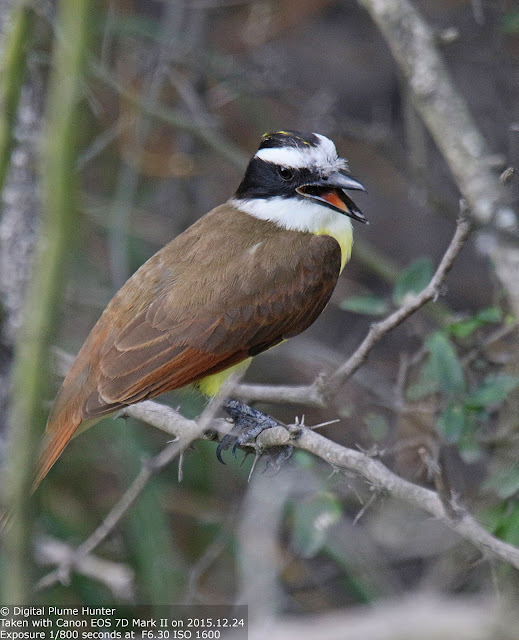 The tropics hold a special fascination for American birders and an easy way to visit the tropics without leaving the US is to partake of the avian delights found in the RGV region.